Something I often get asked – what would you recommend as the top 10 finger foods – so here’s my top 10…. 1. 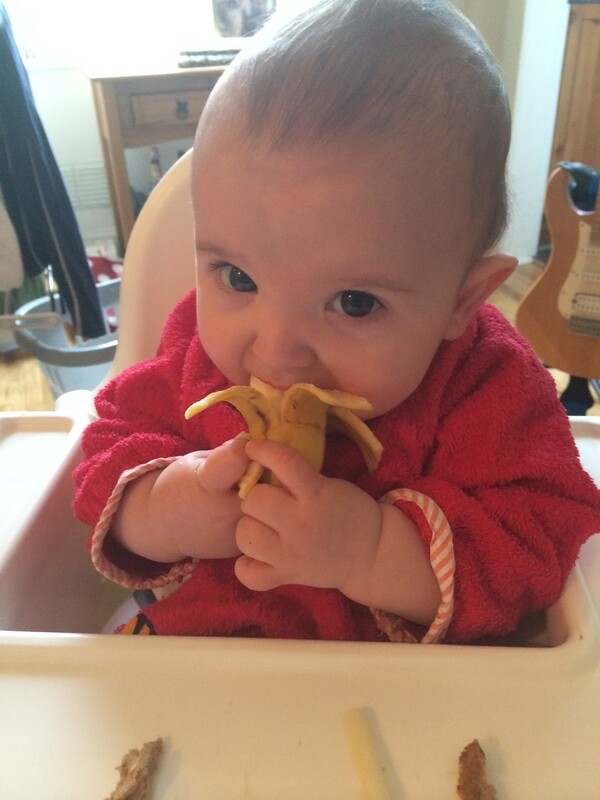 Banana – without doubt one of my favourite foods for babies and children and can often make an complete meal in itself – great for snacks, at the end of a meal, for breakfast – tear it into bits as opposed to slicing it so it’s less slippy (it does stain clothes – be warned). 3. Carrot – steamed carrot, in the shape of a baton, are always popular – a naturally sweet vegetable. You can batch steam some and put them in the fridge which are also great for teething babies. 5. Avocado – such a fantastic vegetable and full of great essential oils. Babies love squeezing it and eating what’s left. 6. Omelette – this was my go-to, quick dinner – cooked in a shallow frying pan with cheese, cherry tomatoes and ham mixed through. You can cut it into squares or stripes. 7. Toast – an obvious one but always handy to have and cold toast on the go is absolutely fine too. You can spread butter, cheese or anything else you’d like to on it. 8. Pasta shapes – I found the curly pasta (technically fusilli) was the easiest for my babies to grip – some of the tubes used to launch out of their fists. Egg fresh pasta is generally less slippy than the dried pasta. 10. Hummus and… well anything – great on toast, breadsticks, in wraps, on pittas or just to be eaten on it’s own. All three boys were literally weaned on hummus and we still buy 2-3 tubs a week of this stuff. Great as a quick, nutritious and tasty snack. If you’re coming up to weaning stage – come along to my weaning classes, book a weaning consultation or else sign up to get updates of when my weaning book is coming out. You will learn how to wean without fuss, when to start, how to make it easy, and how to make life long healthy eaters. ⟵Would you like to know what your baby is saying?